Web Hosting | BrainSoft Software (P) Ltd.
BSPL brings you value for money hosting and domain name registration services that are perfect for anyone looking for a strong online presence. We provide the best possible hosting solutions to all our clients with a guaranteed 99.9% uptime. We have excellent Linux hosting packages with PHP and MySQL Database support. We follow a strict moral code of conduct which translates to NO hidden fee, NO setup fee and NO Extra Payments. The web hosting and domain name packages that you can avail are also created to provide an auspicious start to your website. 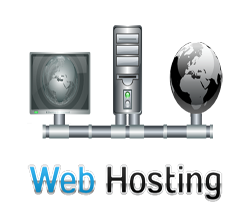 We also provide custom hosting packages for clients who are looking for additional resources. BSPL Hosting also boasts of an excellent technical support team and as an Indian company we provide support in 12 India languages 24/7.